Dr. Richard Anderson was awarded The Multi-Specialty Foundation for Aesthetic Surgical Excellences highest honor July 16th at the Facial Cosmetic Surgery 2010 meeting in Las Vegas, Nevada. This lifetime achievement award has only been given once before and is for advancement, education, and expertise in facial cosmetic surgery. In the past 15 years Dr. Anderson has been named to the top of his field by a number of organizations. In 1991 Good Housekeeping Magazine and Reader\'s Digest Magazine named him to the best 400 Doctors in America, as the only Oculoplastic Surgeon named to that group. He has been named to the Best Doctors in America yearly. In 1998 Dr. Anderson was honored by Ophthalmology Times as the top doctor in oculoplastic surgery. He received the Achievement in Ophthalmology Award as 1 of 5 doctors to make the greatest contributions in their fields. 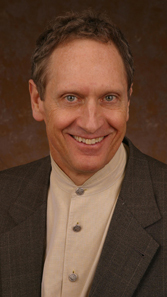 Dr. Richard Anderson graduated AOA from the University of Iowa Medical School. He completed surgical internship and ophthalmology residency at the University of Iowa. He completed fellowships in ophthalmic plastic and reconstructive surgery at Albany Medical Center and the University of California San Francisco. He returned to the University of Iowa in July 1976 to begin his academic carrier as Assistant Professor and Director of the Oculoplastic and Orbital Service at the University of Iowa. He was a prolific writer and innovator in his field and became full professor and chief of the Division in July 1982. In 1984 he moved to Salt Lake City to begin private practice and was appointed Professor and Chief of the Division of Ophthalmic Plastic and Facial Cosmetic surgery at the University of Utah, which position he maintained until 1999. In 1999 he became medical director of Oculoplastic Surgery, Inc. and The Center for Facial Appearances in Salt Lake City, UT which position he maintains to date.